The oldest gay rights magazine in the United States named Pope Francis its "Person of the Year" as the pontiff marked his 77th birthday on Tuesday by inviting homeless people to join him for breakfast in the Vatican. The Advocate magazine said it gave Francis the honour because, although he is still against homosexual marriage, his pontificate so far had shown "a stark change in [anti-gay] rhetoric from his two predecessors". The Advocate noted that the Catholic gay organization Equally Blessed called the phrase "some of the most encouraging words a pontiff has ever spoken about gay and lesbian people." The Advocate said no one should "underestimate any pope's capacity for persuading hearts and minds in opening to LGBT (lesbian, gay, bisexual and transsexual) people". Last week, Time magazine gave Francis the same honour, crediting him with shifting the message of the Catholic Church towards mercy and away from condemnation while capturing the imagination of millions. They live on the street in the Rome neighbourhood just outside the Holy See's walls and were invited by the Vatican official in charge of alms-giving to attend the morning Mass which Francis celebrates daily at the hotel where he lives on Vatican City grounds. 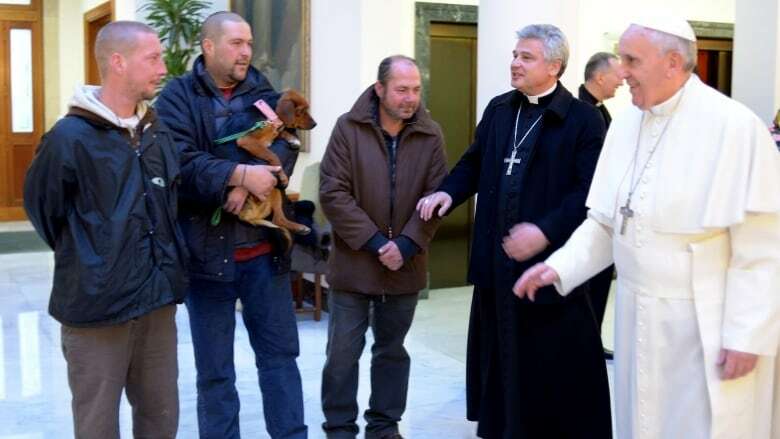 One of the men held his dog as he was presented to Francis after the guests chatted following Mass. The Vatican also said Francis invited his household help to join him in a "family-like" atmosphere, and he spoke of them one by one during his homily. Francis, who is making history as one of the more informal and down-to-earth popes in recent times, struck a modest note as he reflected out loud about people's roles in the world. "Let the Lord write our history," he said in his homily. 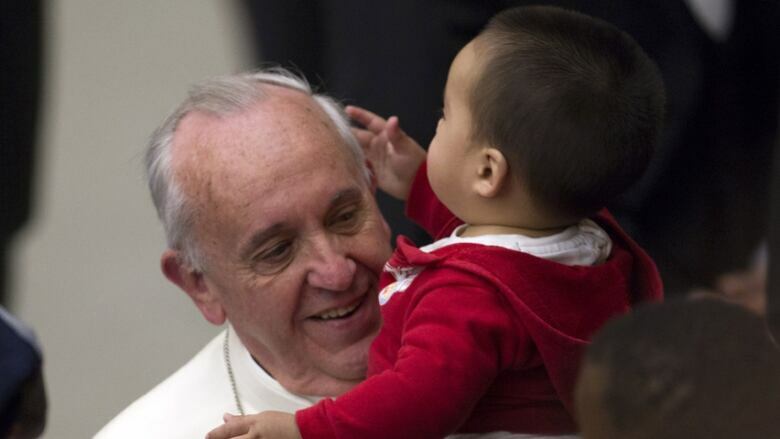 After Mass, all ate breakfast with Francis at the hotel's dining room. Francis has already blown out the candles on his birthday cake, presented to him on Saturday by children at the Vatican, but another present awaits him. A delegation from his favourite Argentine soccer team, San Lorenzo, will give him a replica of their championship trophy. "Arriving on such as special day, like the 77th birthday of the Pope, this meeting seems made for God," said the team's vice-president Marcelo Tinelli, shortly before departure. The team delegation might be presented to Francis before or after Wednesday's public audience at the Vatican, although Vatican officials didn't rule out a possibility of a meeting sometime on the pope's birthday.